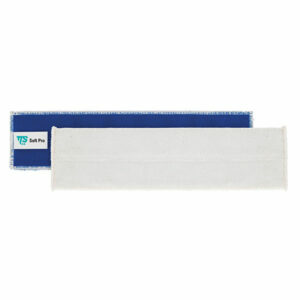 For use with the ‘Qwik’ pre soaking system (Velcro), Bucketless Bio cleaning tool and ‘Jet mopping system. 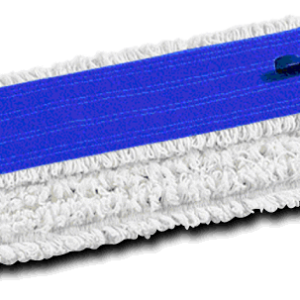 Microfibre flat mop heads provide greater performance and durability compared to traditional cotton alternatives. 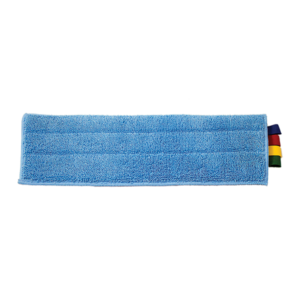 Offering an excellent performance and also super absorbent is our colour coded microfibre mop. 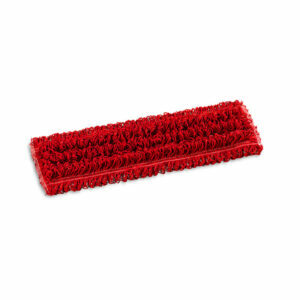 This good quality velcro mop can be washed up to 500 times. Ideal for organisations who adopt colour coded cleaning regimes. Compatible with all velcro frames. Excellent performance & dirt retention with increased absorbency and competitively priced. 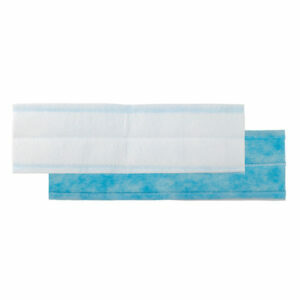 Complete with sewn in tags to help prevent against cross contamination.. For use on frames with velcro system. 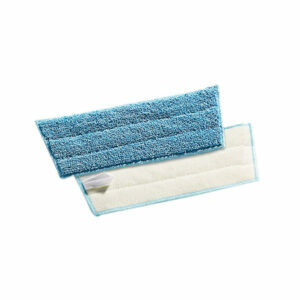 Microfibre flat mop polyester support for Velcro System. When dry it generates electrostatic charge to the floor, picking all dust. When used damp capillary vacuum force captures dirt and solution. Recommended laundering for 300-350 washes. Ideal for a professional and efficient cleaning of floors, walls and ceilings. Suggested for smooth surfaces with medium-low dirt. To be used with frames with Velcro System. Cleans and dries at once reducing 70% of the traditional costs. Ideal for all washable surfaces: glasses, mirrors, stainless steel, ceramics, laminate. 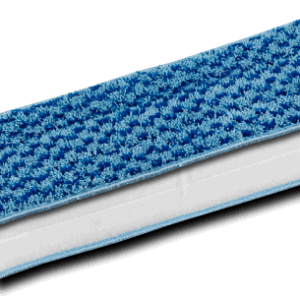 Flat mop in polyester, looped end, with velcro system support. 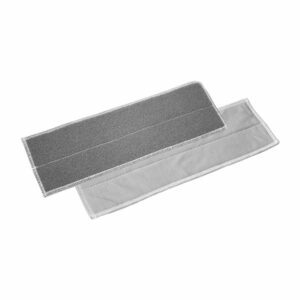 The velcro system is ideal both for dusting, dry or damp use. 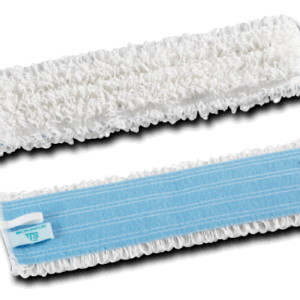 It can be used with pre-soaked spare mops which speeds up cleaning times and saves both time and money on labour costs. Suitable for washing or for damp / dry dusting on smooth floors with medium / low dirt. For use on frames with velcro system.